Sub War! SVS PC12-NSD vs SVS PB12-NSD. I was looking for a HT sub woofer with low end grunt and guts to rock my gulis (marbles for our international readers) yet must not cost me an arm of a leg. Max Loh (the watch dog whisperer) of Maxx Audio put his hand up for the challenge. The confident guy somehow knew I was smitten by the SVS alpha sub PB13-Ultra when I last visited his showroom some time ago. I had a trouser-flapping good time (just to put it mildly)! 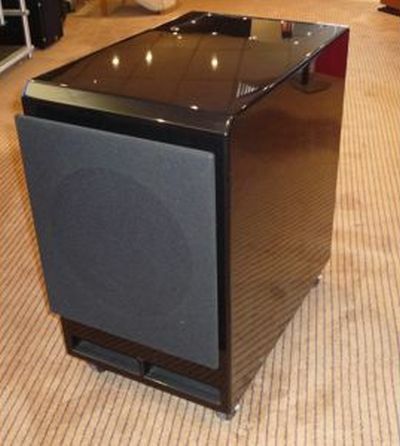 Max kindly suggested two models for us at Hifi-Unlimited to play with, in the form of SVS PC12-NSD (ported cylinder) and the PB12-NSD (ported box). Both are the most afford able models in the SVS product line up (until recently that is!). Being the sucker for something new, I opted to review the PC12-NSD, and let Odiosleuth have some fun with the other SVS sub, a PB12-NSD. It took a little while for me to write this because I was kinda busy at the time. The 400Watt Class D plate amp equipped with built-in DSP. When Max delivered the PC12-NSD to my door step, I was shocked by the size of the box, it was huge! Carrying the box from the van into my house was a job for two strong men. Upon un-boxing the sub, I marvelled at the build quality, which did not seem cheap at all. A knuckle rap at the sides of the cylinder showed the box to be not as dead as expected, but the whole shebang still felt solid enough for a few years of abuse. The cylinder is felt wrapped at the sides and there”s a raised platform to accommodate that 12 inch downwar- firing aluminium woofer cone. A single 4-inch upwards firing port is located at the top of the cylinder, covered by removable steel mesh. The 400W rated class D plate amp with built-in DSP is located at the side of the cylinder. The whole package looks intimidating indeed. I placed the SVS sub near the corner where my resident sub-woofer has resided for years. All cables plugged in, Max proceeded to re-calibrate the Audessey EQ settings on my Denon AVR, ran a few test movies, and left when he was satisfied with the results. I took a further week or so to further refine the settings before I was happy enough to start doing proper evaluations. The 12-inch woofer is downward firing as shown here. The whole cylinder side wall is lined with felt material. The SVS badge also serves as a front-facing indicator. WOW! WOW! WOW! That’s my first reaction once Max left me to my own devices. The sort of abyss-deep, tidal-wave-flowing-towards-me kind of bass response is what I got, when it’s decoded to the 5.1 sound track of the movies. And the best movie to illustrate this is Battleship, an alien invading earth classic story, with a bit of a naval tactic twist worked into the plot, showing off those awesome destructive powers of those modern American navy destroyers. With lots of sea combat scenes, involving a sound track of deep bass to convey the flowing form of water in huge volumes, the SVS PC12-NSD conveys that energy flow with sheer realism, adding much excitement to the spectacular effects. Now, there’s no need to mention about those explosion scenes involving those high-powered weapons shot onto American destroyers by those alien crafts, causing the whole ship to break up bow first then sinking. Also highlighting the capabilities of the SVS sub is that moment the grand ol’ USS Missouri battleship opens up her main turret guns, with sheer fire power which is un-real. The 4-inch port fires upwards; the metal mesh grille is removeable. It took me a short while to fine-tune the settings for the SVS sub woofer. Too high a level and the sub overwhelms the main speakers, too high a low pass and the mid bass muddles the main and centre speakers. Then there’s phase to dial in for seamless blending of the subwoofer to the rest of the sound field. An old adage still applies here – subs must ultimately be felt more than heard, and great subs do just that when set up well. The SVS PC12-NSD has remarkable ability to fill my open family lounge space with full even deep bass that’s highly believeable, from any position one is seated. Now the only area which I could mark down the PC12-NSD is bass impact. Compared to other conventional ported box designs, the impact seemed a little lacking. There seems to be a slight softening of the projectile slam, followed by tailing low frequency echo of the tube of the USS Missouri battleship turret guns opening fire. Battleship, one of the most anticipated action sci-fi movie this year. I have to credit Peter Berg, the Director for not making the aliens look like some sort of over-sized “sotong” (squid) and they have more human like features. What I didn”t like was the idea that the highly advanced space craft used by the aliens could only hop around on water and not glide over it more efficiently. By the way, Rihanna does okay too in her acting debut. Battleship USS Missouri firing her main turret guns. It’s quite remarkable that the grand ol’ WWII veteran(and a few original crew too) could still start her engines and sail effortless with combat effectiveness intact! I know, it most probably CG working its miracle here! Hang on, didn”t I promise a sub war earlier on? I didn’t forget of course. After Odiosleuth had his fun, the SVS PB12-NSD came to my place for a 2nd tour of duty. Max again came to set the sub up for me, and left it with me once he was satisfied with the performance. 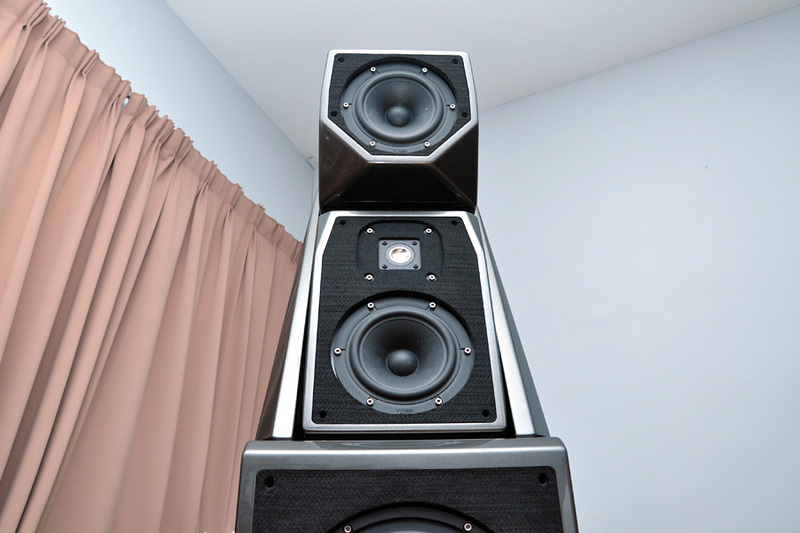 The PB12-NSD’s box isn”t as intimidating as the huge upright standing bass tube. It’s got the same woofer cone, port design and DSP equipped plate amp. It’s the same basic design with same building blocks but a different enclosure. The PB12-NSD is a conventional ported box design, and will have performance characteristics more in line with that of a regular sub. Am I wrong to assume here? As promised, an all-out SVS sub war! Again, the build quality is sensible for the price – rather than lavishly solid. I think the SVS subs will still give years of problem-free enjoyment, if cared for. 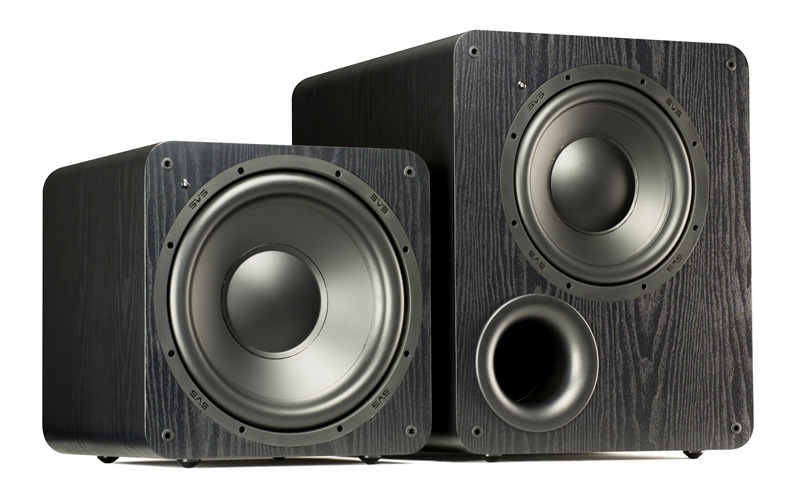 The only thing I didn’t quite like about the PB12-NSD is that heavy but flimsy semi-circular metal grille with four plastic stubs to grip and plug into the sub cabinet. The weight of the metal grille eventually becomes too much for the four plastic stubs to hold onto, causing the grille to fall off when those deep bass rumbles get too much to handle. No problem with that, and a slight bending of the grille fixed the issue. SVS PB12-NSD with grille removed. With the same movie used as benchmark, I clearly felt the PB12-NSD didn’t extend as low down as the PC12-NSD, and the bass distribution was less even across the family lounge. However, what PB12-NSD loses out, it more than claws back brownie points by being easier to integrate with my Bose 301 Series II main speakers. Compared to the PC12-NSD, the ported box gave more lower mid bass details, like in scenes where the 50 calibre gun spits out the spent casings as it fires. I guess the height of the upright standing bass tube design was blocking off, or its felt lined body was absorbing some of the direct/reflect sounds of the Bose main speakers. The ported box sits just below the main speakers. The PB12-NSD also has the edge when it comes to slam bang, where the same scene of the USS Missouri firing her main turret guns is concerned. I could clearly feel the impact as the projectile leaves the gun tube. With other high impact action Blu-rays disc, such as The Dark Knight (part of the Christopher Nolan Batman Trilogy), the SVS PB12-NSD never failed to convey the darkness and hopelessness of life in Gotham City via the movie”s sound track. The Batmobile vs armoured car chase scene has a mix of various powerful engine roar, road rumble, guns shooting and crashes all going at once, and the ported SVS box never fazed one bit. Best of all, there are still some trouser-flapping experience (remnants of the PB13-Ultra) still available with the PB12-NSD, which was not so obvious with the PC12-NSD. 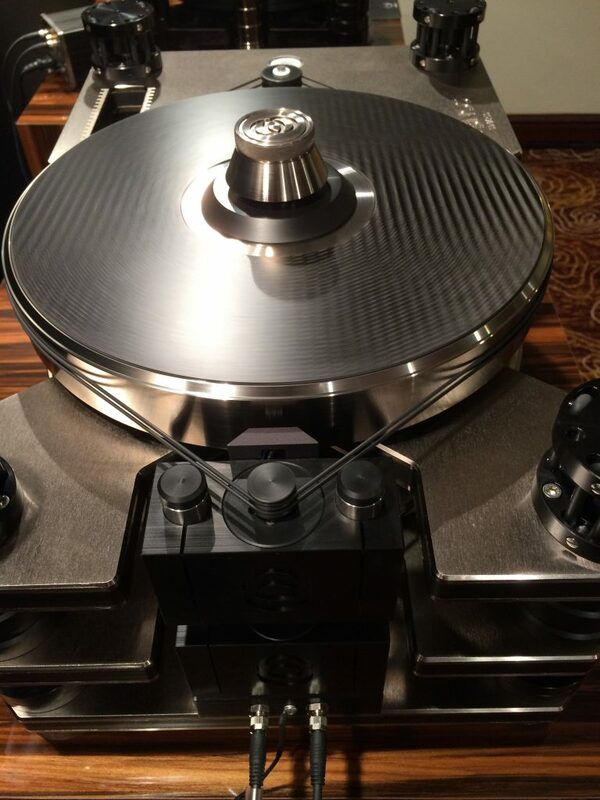 Note the same plate amp and same 12 inch aluminium cone driver too, but different enclosure concept. In a way I was kinda surprised that even though both subs performed well in most areas, there remains a priority of choice when it comes to certain sonic parameters, even for both subs that retails at RM$3,499each. Does one favour deep, evenly spread, flowing bass performance? Or does one prefer an easier to set up subwoofer with more impact slam bang? I think that really depends a lot on system integration, matching, room acoustics, system tuning optimization and lastly one”s sonic preference with practical considerations in mind. The SVS PB12-NSD in its current resting place. Note my old 10-inch Velodyne VX-10 subwoofer just “hiding” behind it. 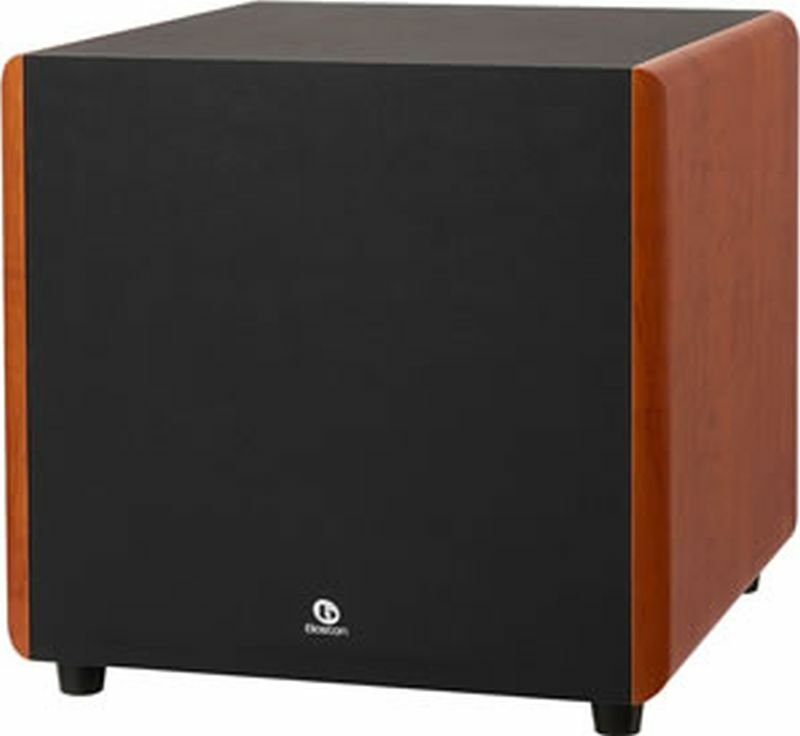 For me, the cylindrical design of the PC12-NSD is at once its attractiveness and Achilles heel. In the context of my system, it couldn’t sonically match the Bose 301 series II as seamlessly as the PB12-NSD. On the WAF (Wife Acceptance Factor) side of things, the PC12-NSD was just far too visible in my family lounge, because it stood just as tall as my main speakers on 24 inch stands. The PB12-NSD is in fact far more subtle in proportions (if similar in cubic box volume) and easier to blend in to the corner of my family lounge. Those were the main factors contributing to my choice to make the PB12-NSD my new sub reference for HT. I would”ve liked it to go just a few Hz lower, but I guess that will require the use of SVS PB12-Ultra. Max and SVS certainly don’t think so. Max reckons the PB12 Ultra would overwhelm my main speakers, and SVS”s Merlin service on their website which provides subwoofer matching services to one’s main speaker says the PB12-NSD is the perfect match for my Bose 301 series II speakers. After an extended review period spanning more than 6 weeks, I think I can agree with both Max and SVS Merlin’s logic. Deal done! 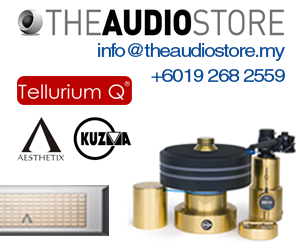 SVS Sound products sold by Maxx Audio and appointed dealers nation wide, contact Max Loh at 017-6778820 for full details.